LinkedIn is the largest network of business professionals in the Western world. Its impact on the recruiting landscape has been pronounced, but to what extent can it contribute to your social recruiting strategy? That’s the question we look to address in this, the fourth of our series on social recruiting. Regular readers will recall that I define Social Recruiting as those activities that put interaction and engagement with candidates as a primary strategic recruiting goal of the company. This is the polar opposite of recruitment-of-old, where the first opportunity a candidate would have to interact with a company would be once they’d been invited in to interview. Social recruiting involves tactics that raise awareness of the company amongst a broad pool of relevant candidates, give those candidates the scope to engage with the recruiter and the company to find out more about them – and use these social interactions to push candidates along the path of wanting to join that company. Social recruiting therefore includes interactions before, during and after the candidate selection process has taken place. Now without doubt one of the single biggest impacts LinkedIn has had on the recruitment market is in the area of headhunting and candidate targeting. The platform has effectively opened up to anyone who chooses to use it an incredibly powerful CV database of executives. Recruitment firms are using it extensively and are less reliant on their own candidate pools and job board resume databases as a result. Employers are using it to allow them to bring in-house some of the recruiting that was previously being awarded out to recruitment businesses. This on its own is not social recruiting though. A recruiter could operate in this way for months but the average candidate on LinkedIn would be unlikely to find out about the company, be prompted to consider them as a career option or be persuaded to submit an application. Rather it’s old-fashioned headhunting with a spangly new tool, which is quite distinct from social recruiting in my view. As this isn’t social recruiting, we’ll not be covering this here in our social recruiting series (Note: if it’s that use of LinkedIn that particularly interests you then I recommend reviewing this LinkedIn search strings article by Social Talent for some good insights). Similarly I would not class advertising jobs on LinkedIn as social recruiting. This is just job board advertising on a new job board, with the same unwelcoming “apply if you’re interested” type approach that we’ve seen elsewhere on the web for over a decade. Social recruiting is about having a presence on the platform that informs and influences potential candidates, increases the candidate reach of the company and gives candidates a means of reaching out and finding out more about career opportunities at the company / understanding if the company is the right fit for them. Making sure all recruiting staff have keyword-optimised profiles to attract interest. This is important because being found with the Linkedin search function is one of the ways your recruiters’ profiles will come to the attention of candidates who are a potential fit for your business. This topic warrants a whole article on its own, so I point you to the following LinkedIn profile tips article for further insights. Having a profile that is infused with personality. Avoid the bland company jargon about having X offices in Y countries. Focus instead on conveying your passion for helping candidates to pursue challenging careers in that specialist sector; on appearing to welcome questions from candidates and further interaction; and on making it easy for candidates to make contact with you directly (this may be by pointing them to groups where you can be contacted directly – without the candidate needing a premium subscription – or by sharing your twitter username, or any other means by which you’re open to being contacted). Encouraging syndication of your updates by staff within the business, so that a far larger network of prospective candidates are reached. Sharing someone else’s update takes only seconds to do, but can have a massive multiplier effect. Depending on the size of your organisation, you may wish to go down the route of creating a company page, building followers of your company brand and updating regularly. As this company page will also feature your products and services, it’s potentially a decision for more than just the recruitment team to take. But if you would like to explore this option the following article on how to create a LinkedIn Company Page will provide the insights you need. Last but not least, LinkedIn Groups provide a great means of engaging with potential candidates. This may be through being a member of other people’s groups. Or it may be through actually setting up a careers group of your own. This is a lengthy topic in its own right and will be the subject of the next of our social recruiting articles. By way of conclusion, a great social recruiter focuses on helping others in their sector so that goodwill is built up for when it is needed. They share content that others find valuable and so want to share onwards with their network. These activities mean that a huge population of potential candidates start being exposed to the company – and have a route by which they can initiate a career move. Be yourself, infuse personality and questions into your messages – and always be looking for ways to help. If it feels unnatural – the polar opposite of the gatekeeper recruiting mentality – then you’re probably doing it right! Have fun with this – and if you’ve first-hand experiences of making this work in your business then please do share via the comments section below. Tony Restell is an expert in Social Recruiting. 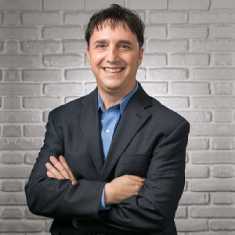 Tony is the Founder of Social-Hire.com and a respected commentator in the online recruitment and social media sectors. A published author and Cambridge graduate, Tony spent his early career in strategy consulting before going on to build and sell an online recruitment business to Jobsite. He is focused on helping candidates and recruiters use social media to find their next career or their next hire.